Stock comment....You'll need to budget for an SSD drive otherwise frustration will abound. Stock comment....You'll need to budget for an SSD drive otherwise …Stock comment....You'll need to budget for an SSD drive otherwise frustration will abound. There is an option for £50 more with an SSD. So worth considering. The 2gb 1050 wouldn't bother me so much to be honest, I'm much more drawn to the 7700HQ cpu. Even the lack of SSD isn't a real issue but the breaker for me would be the screen - most reviews I see for these suggest it's pretty poor. 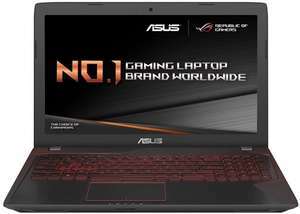 A struggle to term it a "gaming" laptop with a 2GB GPU at the end of 2017. Got a link for an alternative? Most deals are over now but if gaming is your thing you can certainly wait for something better. Got a 1060 laptop for 669p but i guess got realy lucky. It can play many triple-A titles on ultra settings at playable frame rates. Most deals are over now but if gaming is your thing you can certainly wait …Most deals are over now but if gaming is your thing you can certainly wait for something better. Got a 1060 laptop for 669p but i guess got realy lucky. To be fair, that was a price glitch and this is a deal. Not everyone can sit around waiting for the next price glitch. Without a glitch, you are unlikely to find a laptop with better GPU for this price. To be fair, that was a price glitch and this is a deal. Not everyone can …To be fair, that was a price glitch and this is a deal. Not everyone can sit around waiting for the next price glitch. Without a glitch, you are unlikely to find a laptop with better GPU for this price. 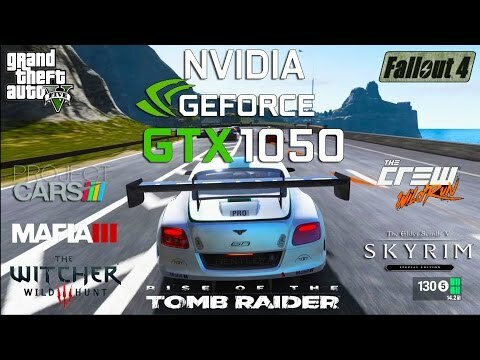 MSI GP62MVR 7RFX with 1060 for 800p couple of days ago was not a glitch. If you can't wait, sure go ahead and buy this. Its not bad at all. MSI GP62MVR 7RFX with 1060 for 800p couple of days ago was not a glitch. …MSI GP62MVR 7RFX with 1060 for 800p couple of days ago was not a glitch. If you can't wait, sure go ahead and buy this. Its not bad at all. That from Very deal? I stand corrected in that regard. I also got the Dell deal you are talking about. Haven't had much time to play with it but its a nice piece of kit I think. Traded in my HP which felt flimsy compared to the Dell. Yeah love dell's thermal management and build quality but ofc its rather heavy. Also thinking of swapping the screen in the future with a more color accurate one. I’ve been looking around for over 2 months. Was a little tempted at the dell 7000 Inspiron with be WMR headset but since it had the 1050 2gb I was suspicious. Also looked at the hp omen with the i5 7300cpu and 1050 2gb gpu.for £700 but decided against it awaiting a better deal with maybe a 1060 or 1050 ti with the WMR headset. Good deal for a 7700HQ laptop. Decent quad core CPU (for a laptop). Anyone who needs to do video editing or anything similarly intensive would find get good use from it.